ScanGuard Antivirus for Android is one of the latest all-in-one mobile security and optimization tool. The app is developed by a relatively new security company ScanGuard. There is not much information about it and some users also think that the software is a malicious program. The company provides security software and antivirus across all the most popular platforms, including Scan Guard Antivirus for Windows, ScanGuard Antivirus for Macs, Android, and iOS devices. ScanGuard Essential Antivirus which starts at $24.95 per year for the first subscription and $99.95 for the following years. ScanGuard Antivirus Pro which starts at $39.95 for the first year subscription and $119.95 for the following. ScanGuard Ultimate Antivirus which starts at $59.99 for the first year and $149.95 for further yearly subscriptions. All plans are compatible with Windows, Macs, Android, and iOS devices. 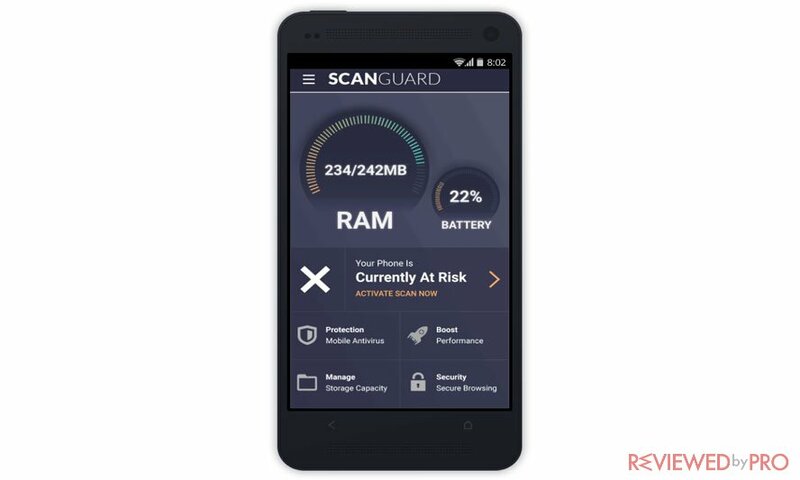 ScanGuard Antivirus for Android is security and optimization tool and safeguards Android devices from malware, viruses, adware, and ransomware, as well as optimizes the device to increase and boost its performances. 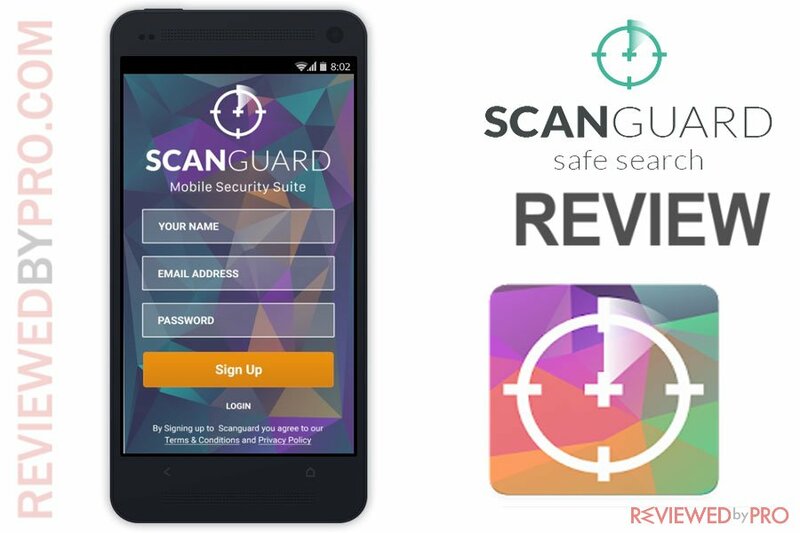 ScanGuard Antivirus for Android was installed more than a million times and has a rating of 3.5 out of 5 at the official Google Play app store. The installer of the ScanGuard for Android is 48 M, so the download did not take long. If you already have a ScanGuard account you just have to link it to your mobile license. For us, it took about 5 minutes to set up a mobile ScanGuard account and start using the service. The application requires 4.1 and later version of Android. Once installed the ScanGuard Antivirus for Android, it performed a scan which revealed malicious software and apps. In addition, ScanGuard also identifies performance vulnerabilities and optimization suggestions. The application provides protection against the latest mobile malware, viruses, adware, and ransomware. It also includes real-time protection that monitors all newly installed and updated apps and local APK files to detect threats before they reach the device. In addition, the app adds a safe browsing feature – VPN service which allows users to browse the web with safe and anonymous. However, ScanGuard Antivirus for Android does not provide its software to any independent testing labs, such as AV-TEST or AV-Comparatives, so the antivirus protection is unknown. As it was mentioned before, the free version of the application only scans the device and reveals security and performance vulnerabilities, malicious apps, and other infected files. 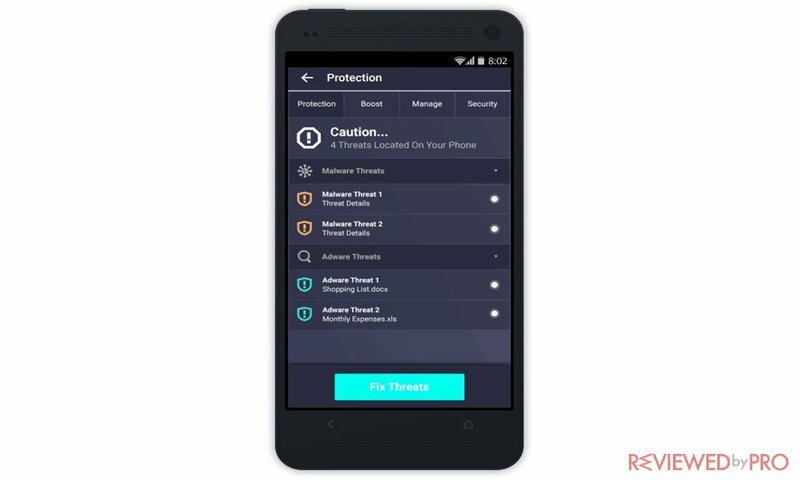 Advanced Antivirus Engine that protects Android devices against the latest malware and other mobile threats. App Lock makes sure that unauthorized people will now access the sensitive apps on the phone. App Manager allows users to skip the long uninstall process and quickly deletes unwanted apps remotely. Reclaim Valuable Space. ScanGuard scans the device for large files that can take up storage and are hard to find. Password Vault allows users to keep their passwords secure in one place. Users only have to remember one Master Password. Smartphone Optimizer helps the device to improve the performance and speeds. Safe Browsing (VPN) allows users to browse securely, a bank in privacy and access media from anywhere in the world. As you can see, ScanGuard focuses not just on providing security features it also includes optimization features and a VPN service. We have used the application for about couple weeks and did not notice any slowdowns or interruptions caused by ScanGuard. Customer reviews also indicate that the software does not have a negative impact on the computer during scans. As it was mentioned before, ScanGuard is a very new player in the market, so any reputed independent testers have not reviewed the application yet. ScanGuard Antivirus for Android performs a full scan to check for security and performance vulnerabilities. The scan ran smooth and took only a couple of minutes. We did not notice any system slowdowns during the scan. ScanGuard provides users with 24/7 live chat and email customer support. The response times are great. Users can also check on the website that provides information on how to fix a range of most common problems. The webpage includes Knowledge-base with FAQs and articles related to ScanGuard products, video tutorials, and more. However, phone calls only limited to billing issues. Just like Windows and Mac versions of ScanGuard, the mobile application has a simple interface. All the features and functions are easily accessible. 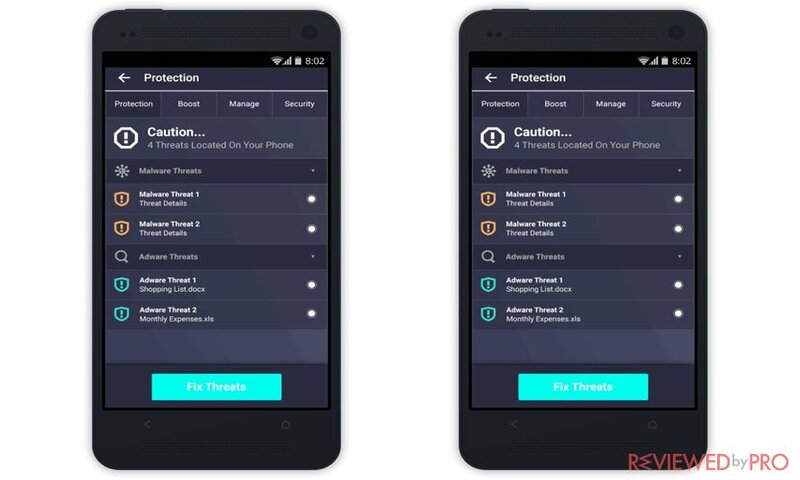 ScanGuard Antivirus for Android is a new antivirus and optimization tool for Android devices. In fact, the application is one of the most privacy-focused antivirus packages in the market as it includes built-in VPN service. However, ScanGuard has not been tested by any reputed independent testing agencies so it is hard to evaluate the application’s antivirus protection. ^ ScanGuard Antivirus for Android. Google Play. This entry was posted on 2018-11-08 at 09:25 and is filed under Security.